As TGP previously reported, Bernie and Jane Sanders are under FBI investigation for suspicion of bank fraud. CNN’s Erin Burnett brought up a recent report stating Jane Sanders has hired lawyers amid an FBI investigation about a land deal she was involved in and Bernie Sanders came unhinged. At this point Bernie Sanders started to get riled up because how dare someone ask him tough questions. After all, he’s used to softballs like the ones Chuck Todd sent his way in a recent 7 minute interview when he was asked ZERO questions about this FBI investigation. 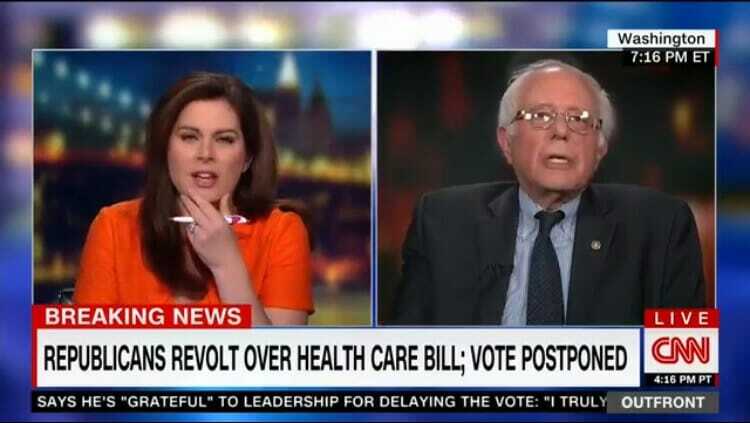 Erin Burnett pressed on..
Sanders: “Excuse me! My wife is about the most honest person I know. 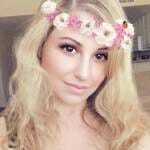 When she came to that college, it was failing financially, academically. When she left it, it was in better shape than it had ever been.” (yeah completely bankrupt while she walked away with a 6 figure severance). 5 years later just at the moment coincidentally no doubt when I’m a candidate for the President of the United States, Donald Trump’s campaign manager and vice chairman of the Republican party of Vermont launched this investigation. Sanders continued to play the victim, claiming to ‘go after people’s wives is pathetic’. So now we can’t investigate a person because she’s someone’s wife? If it were only that simple. To Erin Burnett’s credit, she did press Bernie Sanders AGAIN asking him if his wife is indeed under FBI investigation and he refused to answer her and again played victim.